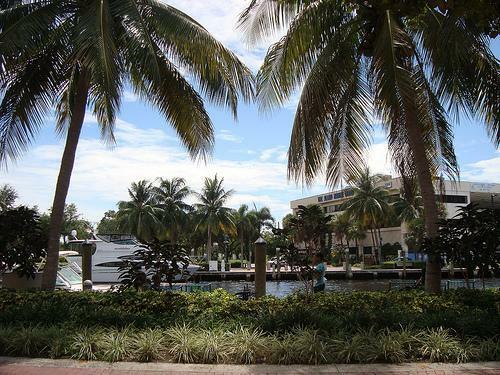 If you’re planning a move to the Ft. Lauderdale area, there’s a lot to learn about the area—best restaurants, best beach locations, and best places to run. Here’s a runner’s guide to Ft. Lauderdale, highlighting everything runners need to know about Ft. Lauderdale. Adjacent to Ft. Lauderdale Beach, this beach is open from 9 a.m. to 5 p.m., while the rest of the park is open daily from 8 a.m. to sundown. Run on the beach or head down the park drive that is 1.9 miles long, or one of the many other trails. Note that if you plan on running on the beach during the summer months, it’s a nesting ground for loggerhead sea turtles. Nests are marked, so avoid those areas. If running on sand is your thing, head to Ft. Lauderdale Beach, which has seven miles of sand right along the Atlantic Ocean making for a beautiful run. If you love running in the early morning, you just might catch the sun rising over the ocean. Running on sand is great exercise because it causes runners to expend one and half times more energy than running on roads or paved trails. It also reduces stress on your legs from running on a hard surface. On WalkJogRun.Net, you will find a few different routes that include Ft. Lauderdale Beach. One of the most picturesque areas of Florida is the Riverwalk found along the north bank of New River from NE 6 Ave to SW 6 Ave. Known as “Florida’s Most Beautiful Mile,” the walk is surrounded by tropical vegetation as well as restaurants, shops, and bars. It’s near Ft. Lauderdale’s historic district that includes a trading post from 1901 called the Stranahan House. If you’re looking for running motivation, a runner’s club is a great way to find others to run or walk with. There are two in the Ft. Lauderdale area: Front Runners and Great Fort Lauderdale Road Runners Club. If you’re new to the area, it’s also a great way to meet others because social events once or twice a month. Registering for a running event is a great motivator if you need something to step up your training. There are running events throughout the year. In any given month, there is typically one or two 5K running event, such as the Shamrock Run in March or the 5K 4 Kids in January. Major events include A1A Marathon in February. Not the typical 5K race, Run or Dye events, including the one in March at Vista View Park, are more than just running to the finish line. As you run along, there are dye stations where you will be sprayed with eco-friendly, plant-based powder dye. Wear a white T-shirt for the perfect canvas. Florida is one of the best places to run outdoors, especially in winter when the weather is cooler and still gorgeous. There are many opportunities for running in Ft. Lauderdale. Don’t forget to check them out.